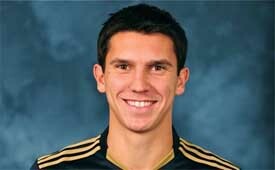 CSN talks to the Philadelphia Union’s Shea Salinas. Kasey Keller wants everyone to know that if the players strike it will be about rights, not money. David Beckham ruptures his Achilles tendon and will likely miss the World Cup. The New York Times talks about the unlikely love Landon Donovan has received from English soccer fans. Meanwhile, Goal.com debates whether Donovan is a hypocrite. US international Lee Nguyen expects to keep playing in Asia despite interest from MLS, notably FC Dallas and Seattle Sounders. Joey Saputo, owner of the Montreal Impact, expects an announcement in the next few weeks about his team entering the MLS. The Miami Herald describes the emotional aftermath of the USWNT U17 victory over Haiti last week in the opening round of the CONCACAF Under-17 women’s championship. The game marked the first international appearance by any Haitian team in any sport since the recent devastating earthquake which killed some 30 members of the Haitian football association, including the coach of the U 17 team. The Philadelphia Independence will face 2009 NCAA champs University of North Carolina on March 20 in a preseason friendly at United Sports in Downingtown. Fara Williams of the England and Everton women’s team declines move to the Philadelphia Independence and will stay in England. MLS Insider wonders how US soccer can compete with the abundance of European soccer on TV. Former Germany and Arsenal goalkeeper and highly entertaining crazy man, public urinator and spectacle thief Jens Lehman to make move to MLS? One can only hope. In an open letter to the MLS and the Players Union about the possible strike, Match Fit USA talks to the Sons of Ben. Amid all of the strike talk, let us not forget that, on Sunday at 7 p.m., the Union will face a MLS club for the first time in team history when they play FC Dallas at the University of Tampa’s Pepin Stadium. Kicks Soccer has a preview of the MLS Eastern Conference and predicts a sixth place finish in the conference for the Union. Philadelphia Union CEO and Co-Chair of the Philadelphia Host City Bid Committee Nick Sakiewicz tells City Council that increasing the number of international terminals at the airport would boost Philadelphia’s chances of becoming one of the 2018 or 2022 World Cup host cities. The new goalie for the Independence, Karina LeBlanc, talks about her move from the now defunct LA Sol to Philadelphia. Goal.com looks at the financial dilemmas faced by veteran players and MLS clubs when older players reach the end of their contract. Tinky Winky, Dipsy, Laa-Laa and Po, noted Manchester City supporters, have been silent about Gary Neville's proposed new home. MLS Talk examines why the MLS is losing the American TV war. Tickets are now on sale for the Mexico national team US tour. Locally (sort of) they will play Ecuador at the New Meadowlands Stadium on May 7 at 9pm. 8000 people show up for a high school soccer game in Santa Barbara. 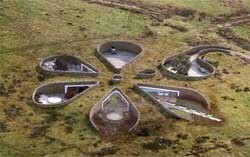 Gary Neville’s plans for a £6 million flower-shaped “Teletubby” home in a greenbelt area overlooking Bolton are opposed by his neighbors. The Swiss Parliament upholds the tax-free status of FIFA and UEFA. Today’s Champions League matches are Manchester United v AC Milan at 2:30 p.m. and Real Madrid v Lyon at 5pm. Both matches are can be seen on FSC. Talks between the MLS and the Players Union should resume today with the help of a federal mediator. MLS in England: San Jose Earthquakes beat West Ham reserves 2-0 yesterday. They will face Tottenham reserves on Wednesday. On Friday they will play Colorado Rapids, who have been training at Arsenal’s facilities. The Rapids will play Arsenal reserves today. The Daily Times of Delaware County reports from a panel discussion held on Monday at Widener University’s Latham Hall that the Union is excited to be a part of Chester. The article includes video from the seminar. Jeff Cunningham of FC Dallas pretends to be Freddie Adu in an interview. Every MLS match this season will be produced in high definition, although not every match will be broadcast that way. The New York Times reviews an “optimistic” WPS as it prepares to start its second season. US women’s national team coach Pia Sundhage has announced her 24 player roster for the upcoming friendlies against Mexico. Heather Mitts, Lori Lindsey and Amy Rodriguez from the Philadelphia Independence, who were all part of the squad that won the Algarve Cup last week, are on the roster. The Inquirer talks to Lindsey about the Cup victory, where she had a team high three assists. Peter Nowak discusses the upcoming third stage of pre-season training. Focusing on tactics, the third stage will include the Union’s first game against MLS opposition when they play FC Dallas on Sunday in Tampa. Michael Orozco discusses how motivated he is to play for the Union. Philadelphia Magazine asks if soccer can save Chester. A Manchester City blog speculates on possible interest in the Union from City’s owners. Emphasis on ‘speculates’. 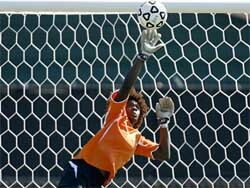 Independence goalkeeper Mallori Lofton-Malachi played her high school soccer at Central. The Independence announces its preseason roster. 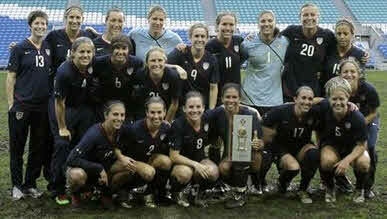 US national team members who were in Portugal for the Algarve Cup will start training with the team today. In a controlled scrimmage on Sunday, the Independence lost 1-2 to Rutgers. The Daily News talks with Independence goalie Mallori Lofton-Malachi, who grew up in Philadelphia. The Independence partner with the Delaware Youth Soccer Association. The Drexel women’s soccer team signs eight new players. Following his terrific home finale at Goodison Park, rumors emerge that Chelsea is interested in acquiring Landon Donovan over the summer for £10m. The report says that Chelsea manager Carlo Ancelotti “believes Donovan would fit perfectly into a front three with Didier Drogba and Nicolas Anelka.” Crikey! ESPN has announced its television commentators for the World Cup. J. P. Dellacamera and John Harkes are out, to be replaced by veteran English commentators Ian Darke, Adrian Healey, Derek Rae and Martin Tyler. Dellacamera, who will call Union games this season, will still announce the World Cup games on ESPN radio where he will be joined by, shudder, Tommy Smith. The Guardian reports that sources claim that Sir Alex Ferguson is supportive of the Red Knights, the consortium that is attempting to buy Manchester United from the Glazers. The wind swept pitch at the Estadio Algarve in Faro, Portugal may have been worse for the wear after steady rain and three previous Algarve Cup matches but the sun came out to shine as the US women’s national team took to the field at the start of their 3-2 victory over Germany to win their seventh title in the history of the tournament. The three Philadelphia Independence players on the US squad all featured in the final with Heather Mitts at the back for the full 90 minutes and Lori Lindsey replacing Amy Rodriguez in the 59th minute. The US Women face current Women’s World Cup holders Germany in the Algarve Cup final today. You can follow today’s match from 11 a.m. at US Soccer’s Match Tracker. The US and Germany are currently listed first and second in the FIFA/Coca Cola Women’s World Rankings and faced off against one another in the 2005 and 2006 Algarve Cup finals. The US won the first encounter and lost the second on penalty kicks. This will be the the US team’s eighth consecutive Algarve Cup final. Having previously beaten Iceland 2-0 and Norway 2-1 in the earlier rounds of play in Group B, on Monday the US defeated Sweden 2-0 to finish undefeated in the group, sweet revenge for the loss last year on penalty kicks to Sweden in the tournament final. Lauren Cheyney leads the US with three goals and an assist while Inka Grings leads Germany with five goals. While ten different players have scored for Germany, only Cheney and Abby Wambach, with two goals, have scored for the US. The US record against Germany is 17-4-4, with a record of 7-1-3 since 2001. When the countries last met in Germany on October 29, 2009, the US won 1-0.